The Gai Waterhouse and Adrian Bott-trained Invincible Star will gallop between races at Randwick. Group One Coolmore Stud Stakes runner-up Invincible Star will make an appearance on Missile Stakes day at Randwick for a gallop between races as she builds up for her spring preparation. The Gai Waterhouse and Adrian Bott-trained sprinter has not started since being overhauled in the final strides by the fast-finishing Merchant Navy in the Group One Coolmore (1200m) at Flemington last November. Merchant Navy went on to win the Group One Diamond Jubilee Stakes at Royal Ascot in June before he was retired to Coolmore Stud. Invincible Star, a dual Group Three winner, will gallop after race one on Saturday with James McDonald aboard and the mare will be paired with stablemate Siege Of Quebec who will be ridden by Tim Clark. 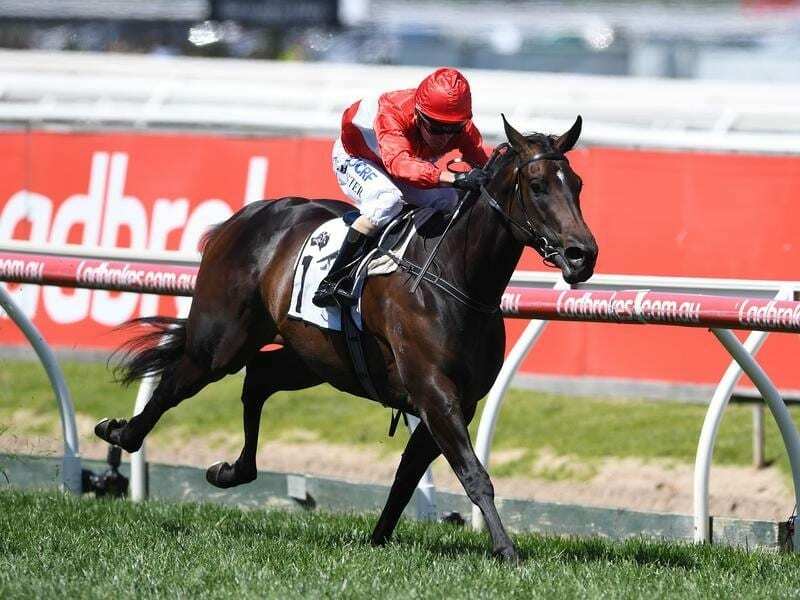 Four-year-old Invincible Star is scheduled to begin her spring preparation in the Group Three Concorde Stakes (1000m) on September 1, the same race earmarked for the return of inaugural Everest winner Redzel.